Angela says- "Overall, I really liked my experience taking the Nursing Postnatal supplement from Fairhaven Health.. I am usually really bad about taking vitamins, but nursing my newborn, I really focused on making sure I did not forget to take these, so I knew I had the nutrients in my milk for my little one. 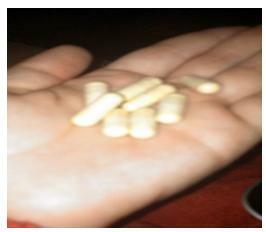 Before taking these vitamins, I was always tired, due to lack of iron, vitamin D and who knows what else. Now, even with only getting 3-5 hours of sleep per day, I am able to function. I do not feel as run down and am able to focus on being a working mother of two. Another positive to the vitamin D levels in this supplement, I was also told by my daughters pediatric doctor, she does not need a supplement at this time. The Nursing Postnatal supplement is both easy to swallow and is easy on my stomach, unlike other vitamin supplements I have taken in the past, including prenatals. I will have to say, I needed to take the Nursing Postnatals with a strong flavored drink to mask the overwhelming vitamin taste, but that is to be expected with vitamins. I would recommend this to nursing moms who are not concerned with their abundance of milk supply, but more worried about the nutritional value of their milk, as I did not see a great increase in supply. My supply maintained throughout taking the vitamins, which for me was all that my baby and I needed. I am definitely going to be purchasing this product for continued use while nursing. " Supplement Facts for Fairhaven Health's Nursing Postnatal Vitamin.